For the past month I’ve been punctuating my life by reading the correspondence between Jean-Pierre Serre and John Tate, recently published in two volumes. Anyone interested in the development of number theory and algebraic geometry will find something to enjoy here. The book was presumably suggested by the success of the Grothendieck–Serre correspondence, published by the Société Mathématique de France in 2001 and in English translation by the American Mathematical Society in 2003. The Grothendieck–Serre correspondence, beyond its outstanding mathematical interest, has the additional personal fascination of Grothendieck’s story. At first a complete outsider to algebraic geometry, he becomes the master builder of the subject in the 1960s, before rejecting mathematics and, by the end, the rest of humanity. By comparison, Serre and Tate are reasonable men. The attraction of their correspondence lies in the mathematical ideas that they gradually develop, over the years from 1956 to 2009. Some of the key topics are Galois cohomology (essentially created by Serre and Tate), Tate’s notion of rigid analytic spaces, the Tate conjecture on algebraic cycles, Tate’s invention of p-adic Hodge theory, and Serre’s work on the image of Galois representations, for example for elliptic curves. Serre usually writes in French, and Tate in English; but both writers make occasional use of the other language for the fun of it. A major topic of the correspondence starting in the 1970s is the relation between modular forms and Galois representations. Deligne and Serre showed in 1974 that a modular form of weight 1 determines a Galois representation with image a finite subgroup of PGL(2,C). At that time, however, it was a serious computational problem to give any example at all of a modular form of weight 1 for which the image is an “interesting” subgroup (that is, A4, S4, or A5, not a cyclic or dihedral group). Tate and a group of students found the first example on June 21, 1974. Soon Tate becomes fascinated with the HP25 programmable calculator as a way to experiment in number theory. Both Serre and Tate are strongly averse to abstract theories unmoored to explicit examples, especially in number theory. This is a very attractive attitude, but it had one unfortunate effect. One of Serre’s best conjectures, saying that odd Galois representations into GL(2) of a finite field come from modular forms, was formulated in letters to Tate in 1973. But for lack of numerical evidence, Serre ended up delaying publication until 1987. The conjecture played a significant role in the lines of ideas leading to Wiles’s proof of Fermat’s last theorem. Serre’s Conjecture was finally proved by Khare and Wintenberger. Finally, the correspondence has its share of mathematical gossip. One memorable incident is the Fields Medals of 1974. Tate is on the Fields Medal committee, and Serre suggests “Manin-Mumford-Arnold” as not a bad list, with Arnold as the strongest candidate outside number theory and algebraic geometry. In the event, the award went only to two people, Bombieri and Mumford. At least in the case of Arnold, it seems clear (compare this MathOverflow question) that this was a disastrous result of official anti-Semitism in the USSR, with the Soviet representative to the International Mathematical Union, Pontryagin, refusing to allow the medal to go to Arnold. I hope that some mathematical readers will go on from the Serre–Tate correspondence to Serre’s Collected Papers. Serre took the idea of cohomology from topology into algebraic geometry and then into number theory. He is one of the finest writers of mathematics. I recommend his papers without reservation. Correspondance Serre–Tate, 2 volumes. Editée par Pierre Colmez et Jean-Pierre Serre. Société Mathématique de France (2015). 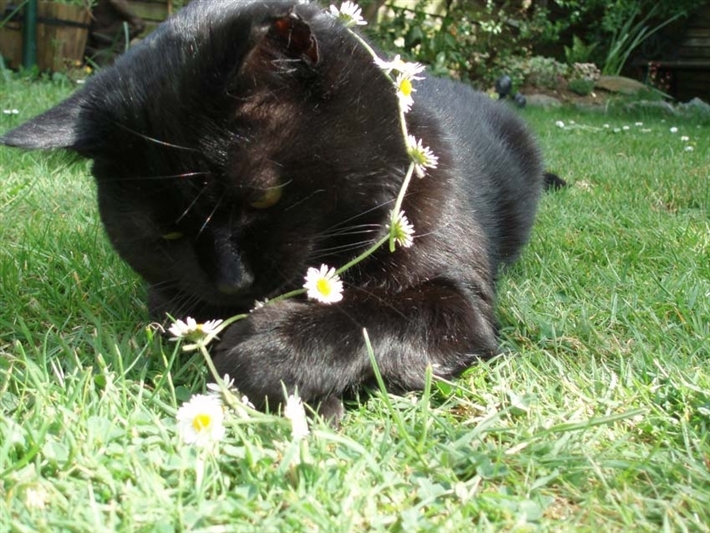 Photo was from the Cambridge branch of Cats Protection, but a different cat is now featured. Update (March 19th): The price is now $61.72, a 27% discount. 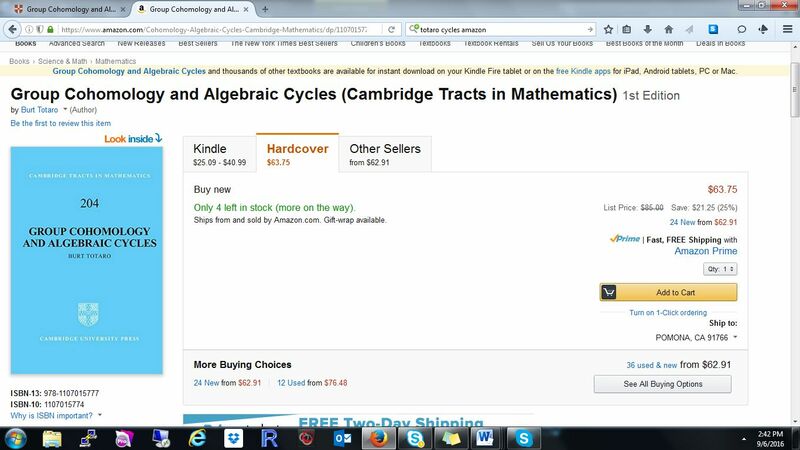 As of March 17th, 11:00 pm, Amazon is selling my book for $49.02, a 42% discount. I don’t know why this is or how long it will last, but if you’ve been waiting for a drop in price, now may be the time. 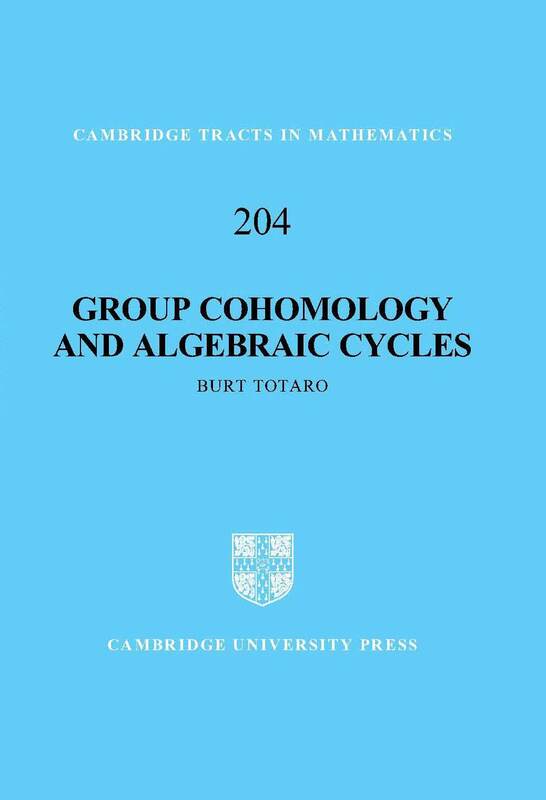 I’m about to deliver the final manuscript of my book Group Cohomology and Algebraic Cycles to Cambridge University Press. As a sort of early advertisement, here’s the draft preface. I thank them at the end of the preface, but I’d like to say here too: I thank Ben Antieau and Peter Symonds for many useful suggestions. Group cohomology reveals a deep relation between algebra and topology. A group determines a topological space in a natural way, its classifying space. The cohomology ring of a group is defined to be the cohomology ring of its classifying space. The challenges are to understand how the algebraic properties of a group are related to its cohomology ring, and to compute the cohomology rings of particular groups. A fundamental fact is that the cohomology ring of any finite group is finitely generated. So there is some finite description of the whole cohomology ring of a finite group, but it is not clear how to find it. A central problem in group cohomology is to find an upper bound for the degrees of generators and relations for the cohomology ring. If we can do that, then there are algorithms to compute the cohomology in low degrees and therefore compute the whole cohomology ring. Peter Symonds made a spectacular advance in 2010: for any finite group G with a faithful complex representation of dimension n at least 2 and any prime number p, the mod p cohomology ring of G is generated by elements of degree at most n2 (Symonds 2010). Not only is this the first known bound for generators of the cohomology ring; it is nearly an optimal bound among arbitrary finite groups, as we will see. This book proves Symonds’s theorem and several new variants and improvements of it. Some involve algebro-geometric analogs of the cohomology ring. Namely, Morel–Voevodsky and I independently showed how to view the classifying space of an algebraic group G (for example, a finite group) as a limit of algebraic varieties in a natural way. That allows the definition of the Chow ring of algebraic cycles on the classifying space BG (Morel and Voevodsky 1999, prop. 2.6; Totaro 1999). A major goal of algebraic geometry is to compute the Chow ring for varieties of interest, since that says something meaningful about all subvarieties of the variety. 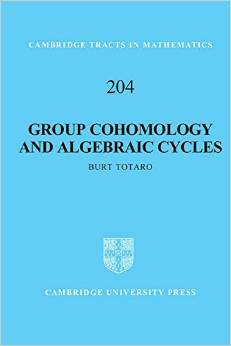 Bloch generalized Chow groups to a bigraded family of groups, now called motivic cohomology. A great achievement of motivic homotopy theory is the proof by Voevodsky and Rost of the Bloch–Kato conjecture (Voevodsky 2011, theorem 6.16). A corollary, the Beilinson–Lichtenbaum conjecture, says that for any smooth variety over a field, a large range of motivic cohomology groups with finite coefficients map isomorphically to etale cohomology. Etale cohomology is a more computable theory, which coincides with ordinary cohomology in the case of complex varieties. Thus the Beilinson–Lichtenbaum conjecture is a powerful link between algebraic geometry and topology. Chow groups are the motivic cohomology groups of most geometric interest, but they are also farthest from the motivic cohomology groups that are computed by the Beilinson–Lichtenbaum conjecture. A fundamental difficulty in computing Chow groups is “etale descent”: for a finite Galois etale morphism X → Y of schemes, how are the Chow groups of X and Y related? This is easy after tensoring with the rationals; the hard case of etale descent is to compute Chow groups integrally, or with finite coefficients. Etale descent is well understood for etale cohomology, and hence for many motivic cohomology groups with finite coefficients. The problem of etale descent provides some motivation for trying to compute the Chow ring of classifying spaces of finite groups G. Computing the Chow ring of BG means computing the Chow ring of certain varieties Y which have a covering map X → Y with Galois group G (an approximation to EG → BG) such that X has trivial Chow groups. Thus the Chow ring of BG is a model case in seeking to understand etale descent for Chow groups. Chow rings can be generalized in various ways, for example to algebraic cobordism and motivic cohomology. Another direction of generalization leads to unramified cohomology, cohomological invariants of algebraic groups (Garibaldi, Merkurjev, and Serre 2003), and obstructions to rationality for quotient varieties (Bogomolov 1987; Kahn and Ngan 2012). All of these invariants are worth computing for classifying spaces, but we largely focus on the most classical case of Chow rings. Some of our methods will certainly be useful for these more general invariants. For example, finding generators for the Chow ring (of any algebraic variety) automatically gives generators of its algebraic cobordism, by Levine and Morel (2007, theorem 1.2.19). I started this blog about a year ago briefly recommending Rob Lazarsfeld’s book Positivity in Algebraic Geometry, which gives bite-size treatments of many topics hard to find elsewhere. The title might sound, on the face of it, like something specialized or technical. In fact, positivity is arguably the fundamental difference between algebraic geometry and topology. For example, the intersection multiplicity of two distinct complex curves which meet at a point in a complex algebraic surface S is always positive. As a result, if you know the homology classes of the two curves, then you know the total intersection number N from the cohomology ring of S, and that implies that the “physical” number of intersection points is at most N. This is completely false in topology: you can push around one submanifold to meet another submanifold in as many points as you like. The result is that just knowing the homology class of an algebraic curve controls its geometric properties (it can’t wiggle too much). Much of algebraic geometry builds on this kind of rigidity.